The Cariboo is a melting pot. Here on Watch Lake Road, Ann Armann has a herd of purebred Highland Ponies at Circle H Ranch. 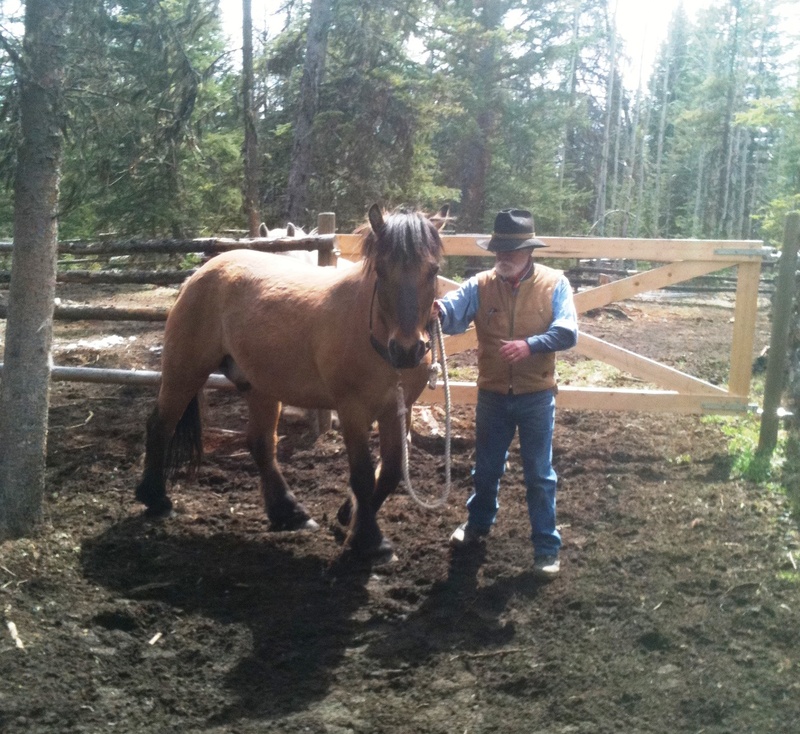 Gilbert lives just down the road, and it turns out the French Canadian horseman’s first client in the Cariboo has a Highland Pony from Circle H Ranch. On one of the many occasions when Gilbert was shopping at the 100 Mile House Timbermart, he was talking to Frank at the service desk when the conversation turned, as it often does with Gilbert, to horses. Frank mentioned that he was having a little trouble catching one of his horses, and that it had become almost impossible to get a halter on him. The young gelding’s name is Lairg (named after a town in the Scottish Highlands), and he’s one of Ann’s purebred Highland Ponies. Gilbert immediately recognized it as a communication problem, a very frequent problem between horses and their owners. Once the spring mud dried out and the footing became good enough, Gilbert went over to Frank’s to help him learn to converse with his Highland Pony. How would a French Canadian know Lairg’s language? Horses, it seems, have a universal language, and Gilbert learned to speak it long ago, living with horses since he was barely able to walk. First Gilbert worked with Lairg in the corral while Frank watched, explaining to Frank as he went along just what he was doing and why. 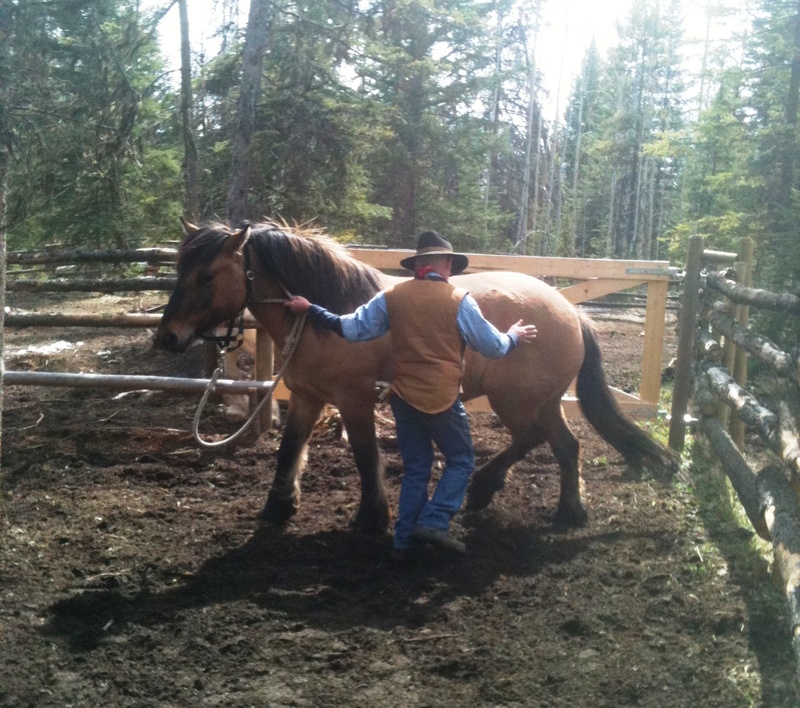 Gilbert wants to make sure the horse is comfortable, and even has fun during a training session. It wasn’t long before Lairg was allowing himself to be caught and haltered, then happily following Gilbert around. 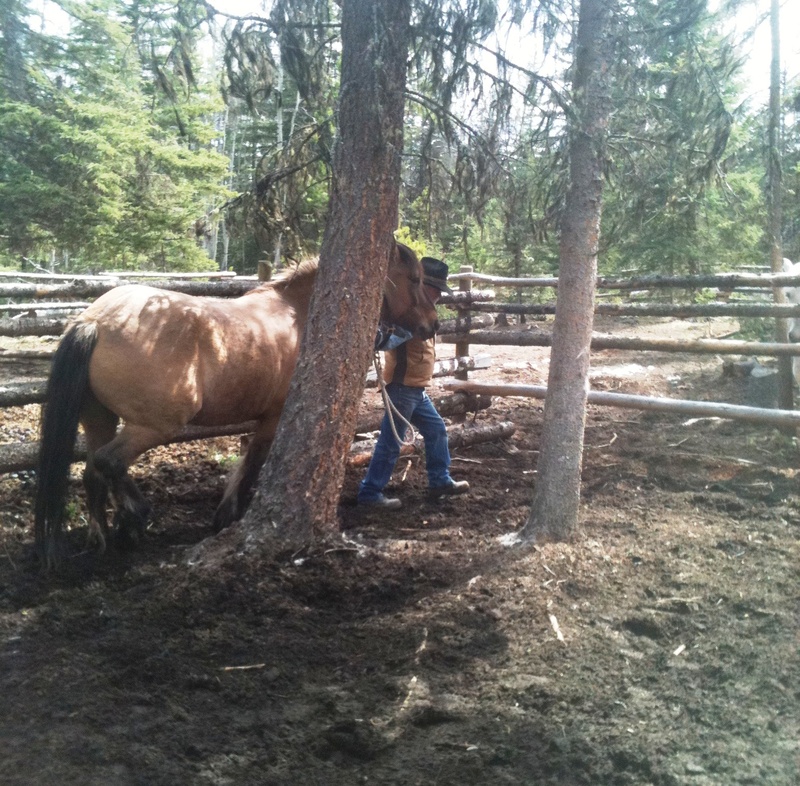 Then it was Frank’s turn to work with the horse, while Gilbert watched and continued to give him pointers. Good communication starts on the ground, so even if a client has been riding their horse already, Gilbert always starts with fundamental ground work to improve the horse-human relationship. That means lots of work on the lead line to establish the horse’s respect for his handler. 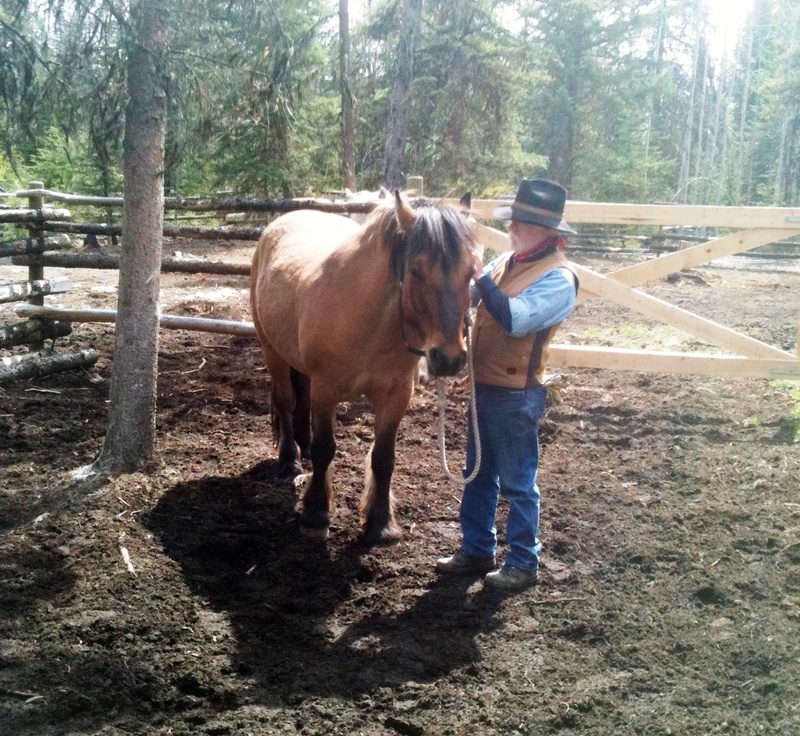 After the first session, Frank was able to catch and halter his horse. He learned how to get Lairg’s respect, and to correct him firmly and fairly when they had a difference of opinion. Gilbert took the photos on this page at the second session, during which Lairg was even learning how to stand quietly “ground tied”. They’ll keep on working together until Frank and Lairg are able to safely hit the trail on their own. Stay tuned for updates! Note: Click on any photo to enlarge. Thanks to Frank for allowing us to share Lairg’s story! Does this Highland Pony look hard to catch now? 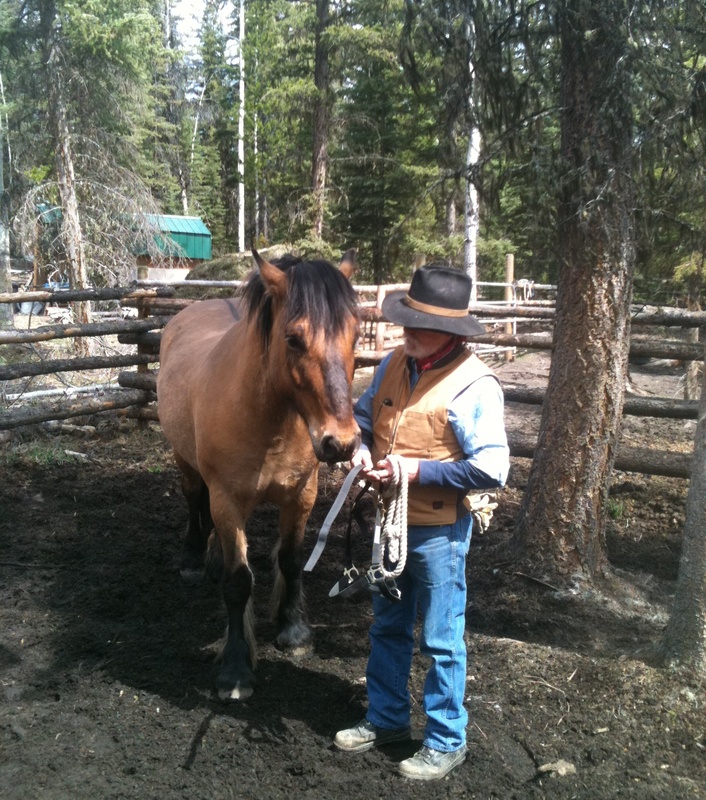 This entry was posted in Gilbert's adventures and tagged Cariboo, Circle H Ranch, Farrier, Highland Pony, Horse Trainer, Horsemanship by R.E. Donald. Bookmark the permalink.